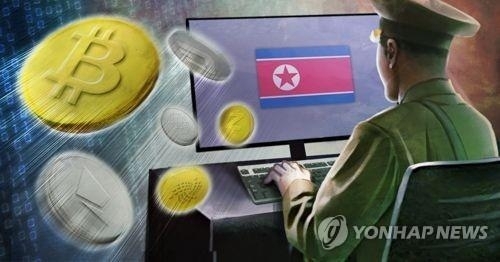 SEOUL, Aug. 27 (Yonhap) -- North Korea appears to have tried to mine cryptocurrencies on a small scale as transactions of such coins are hard to trace and could be easily used to launder real money, a local report showed Monday. The report, compiled by a research unit of South Korea's state-run Korea Development Bank (KDB), also claimed that a North Korean technology firm, named Chosun Expo, is developing and selling a market-exchange platform for bitcoin. North Korea seems interested in the defining "characteristics of cryptocurrencies, including anonymity, difficulties of tracing money and cashability," the report said. Citing a media report, the KDB unit said North Korea may have tried to mine bitcoin between May and July last year, but the attempt appears to have been unsuccessful. Ordinary North Koreans, however, appear to have little knowledge of cryptocurrencies, the report said. In recent interviews with North Korean defectors, all of them replied that they don't know about cryptocurrencies in the North, according to the report. North Korea has been under international sanctions for its nuclear and missile programs, and there is a mounting speculation that the North is setting its sights on securing cryptocurrency funds.